The Nicole Miller Philadelphia boutiques carry the largest selection of Nicole Miller bridal in the country. The Nicole Miller Manayunk boutique is home to our private second story bridal suite, and both locations take appointments 7 days a week. Expect exceptional personalized service while you sip champagne and peruse our extensive collection in a stress-free environment. Be sure to sign up for our emails to hear about our quarterly bridal trunk shows featuring top-tier local bridal vendors we know and love. The team at Nicole Miller Bellevue and Manayunk stores always help you find just the right look for every occasion, not just the look that they want to sell. I have a closet full of Nicole Miller dresses, so when it was time to start looking for wedding dresses, of course I began my search on the Nicole Miller website. When I spoke with Sammy about my search, she knew which dress I meant immediately and said ‘Oh, the Kimberly. That’s your dress.’ Sure enough, when I went to the store with family to search for the dress, no other dress held a candle to the Kimberly. It was the perfect combination of unique and timeless, and my experience was nothing short of amazing. I’m always immensely proud to say that I was a Nicole Miller bride, and love looking at the photos of our wedding day, in my perfect-for-me gown. Shopping for my wedding dress was so easy thanks to the Nicole Miller team. My stylist was amazing and the customer service was out of this world. When I found my dress we all knew it and she helped encourage me that I needed it. Such a great group of ladies and not to mention the most beautiful dresses. Thank you all so much for helping me find the perfect dress. From the first time I walked into Nicole Miller Manayunk, I was amazed with their stunning bridal room and beautiful gowns! 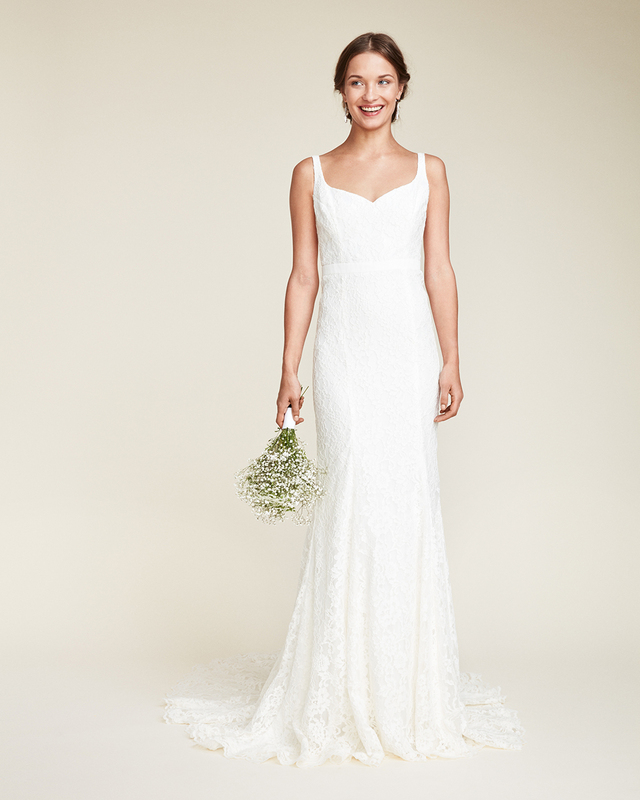 I made an appointment with one of their bridal experts, and she helped guide me to the perfect dress. Everything about the experience was pleasant and professional. I would definitely recommend Nicole Miller Philadelphia to my friends! Loved our Nicole Miller Dresses! I wanted to let you know how much I loved the dress, and how many compliments I received at my wedding!